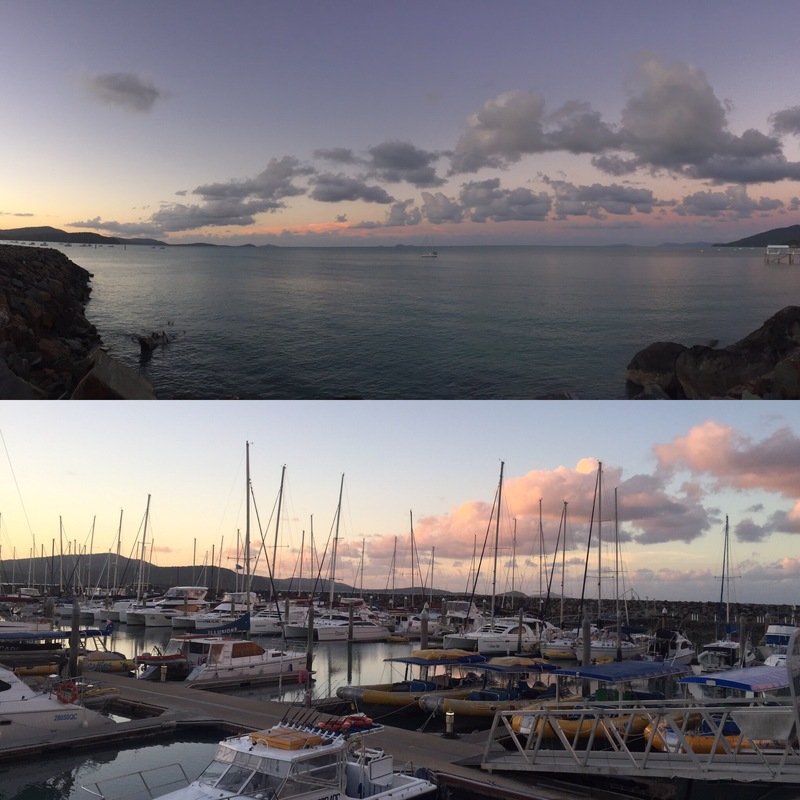 Airlie Beach is a very popular place for backpackers to visit for the main reason that it’s the starting point of boat trips to the Whitsundays islands. As I mentioned in my Fraser Island post, Whitsundays is one of the big trips to do when you’re going up the east coast. After we got checked in (on the 24th February 2017), we met up with Jess and Daisy for a night out. We went to two bars called Beaches and Paddy’s to exploit happy hours and they were both good with live music playing at both which, in my opinion, is nearly always a good thing! We ended the night in a club called Mama Africa. It was a good introduction to Airlie which has a big party scene. 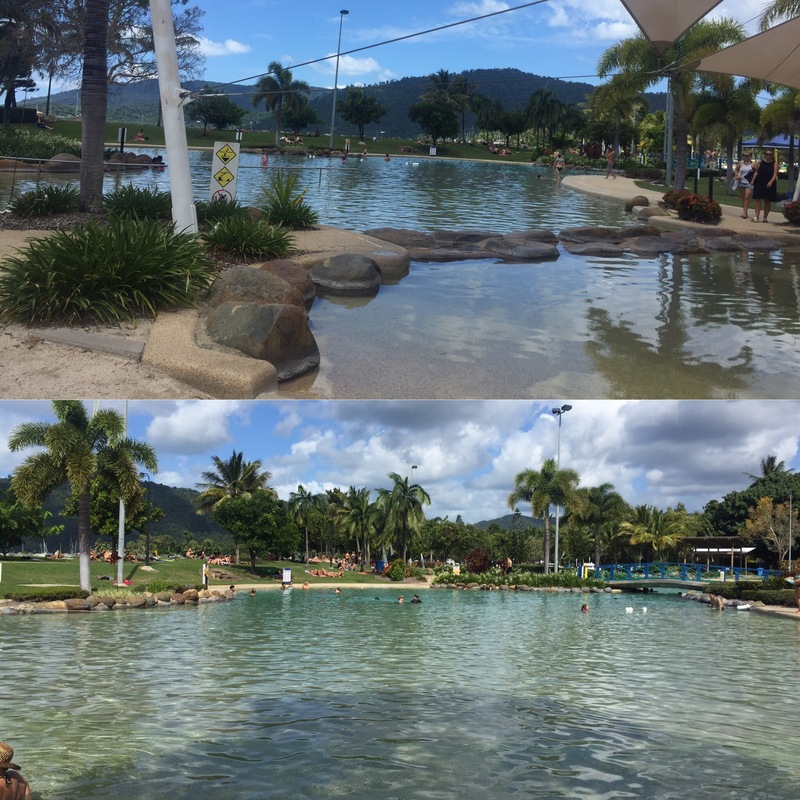 Our first full day in Airlie was spent at the lagoon. You’re not allowed to swim in the sea in most of Queensland around this time of year because of box jellyfish which can kill you if you’re stung by one! The lagoon is nice though so you aren’t bothered and there isn’t sand which makes things a bit nicer – think of it like a big outdoor pool. We spent hours here chilling with Jess and her friends she had met whilst travelling, Céline, Emma and Jamie. It’s a really nice place to chill and, to be honest, Airlie doesn’t have a lot to do when you’re not on your Whitsundays tour so you may as well be at the lagoon. That evening we went out to the hostel bar to see our friends from Noosa; Kelly, Lucy and Annie. There was someone singing who was really good and more good drinks deals to start off our night. Even though you’re not meant to drink in the hostel (really common up the east coast) everyone still does you just have to be careful not to get caught! With that in mind, we went to Jess’s hostel (she was staying in the adjoining hostel) and drank with them. 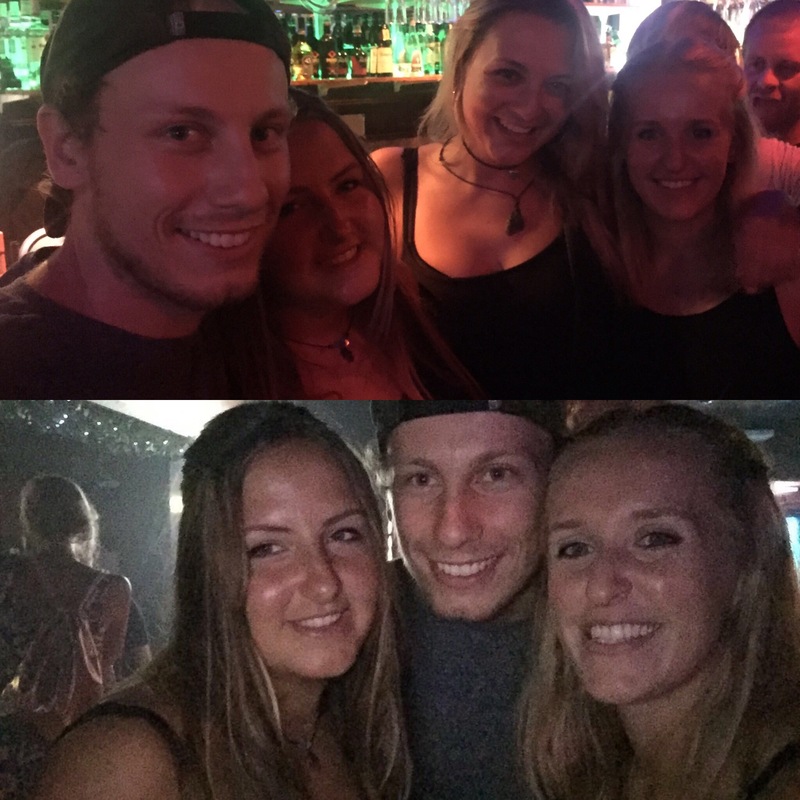 It was good to meet some more of her friends and we then went out to a bar/club called Magnums and back to Paddy’s where we had been the night before. 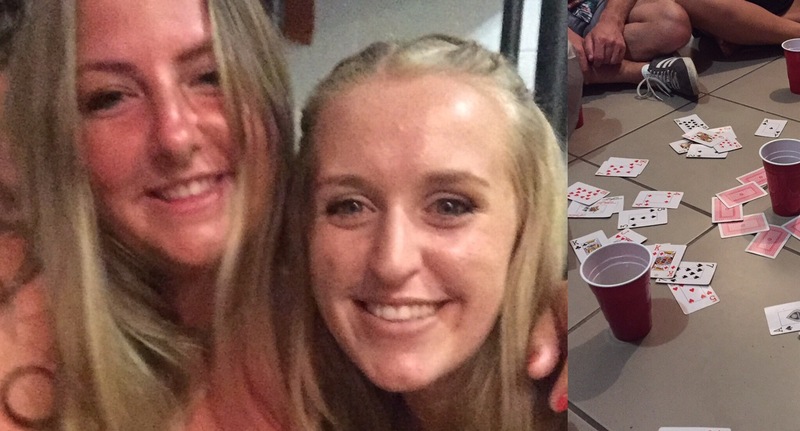 It was a good night out and there was a big group of us which always makes it fun. The day before our Whitsundays trip, we booked our flights out to New Zealand, did some planning (which always takes longer than you expect) and packed for going on the boat. We managed to get a couple of hours in the lagoon which was really nice and then met Kelly, Lucy and Annie for sunset over the harbour. The sunset was really pretty and it was nice to see the harbour, especially as it meant we would know where we would need to go to get our boat the next day. The majority of our friends were also going on their Whitsundays boats in the same day as we were which worked out great for us as it meant everyone was on similar timescales. 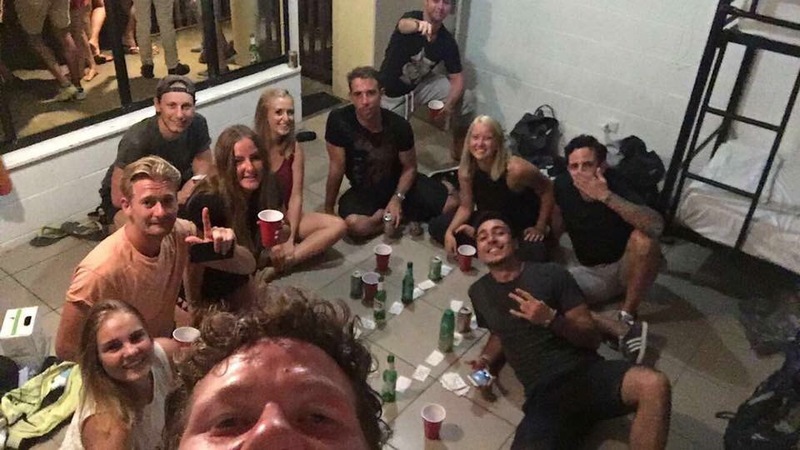 We went out again that night (so every night we were in Airlie) which was a really fun night. Our neighbour hostel Nomads (where Jess is staying which is linked to our hostel, Base) had a club night on so there were loads of people around. We met Stacey, Amber, Abby and Naina again which was really nice as we have been seeing them a lot as we all head up the east coast. We chilled with them for a bit then went to see Jess who was at predrinks party in one of the rooms. It was really fun and we ended the night in Mama Africa which was really good. 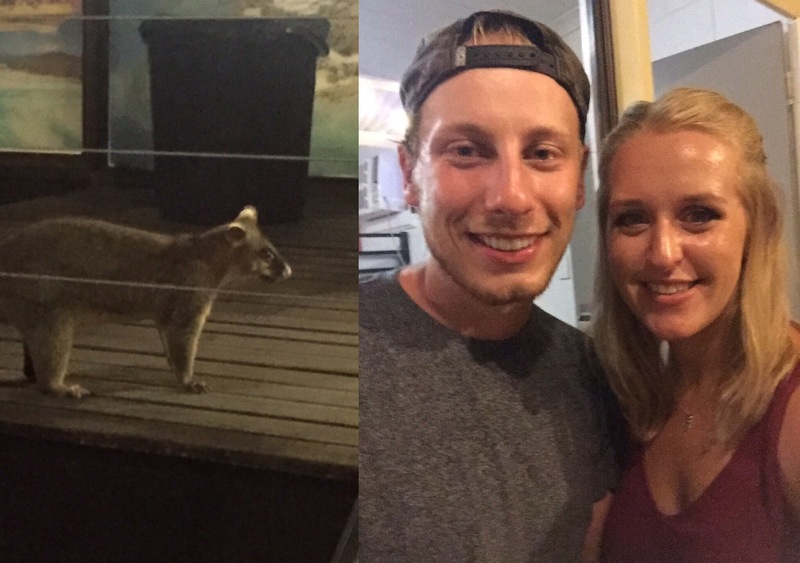 Couldn’t have asked for a better night before our Whitsundays trip. 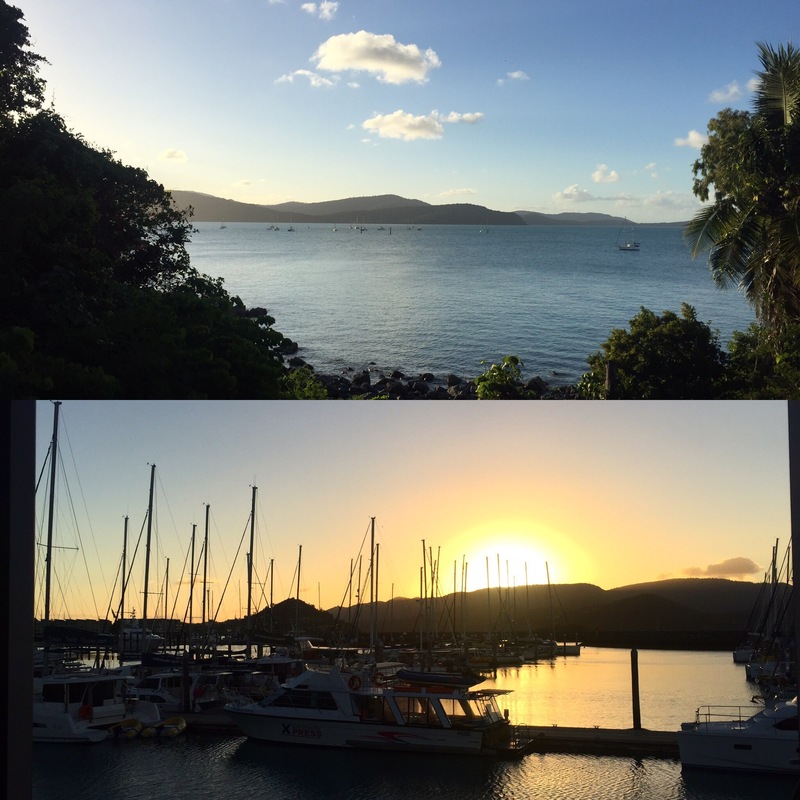 Airlie is so much fun and a really pretty place to spend some days relaxing and partying. If you do the east coast you’re going to spend some time here and it’s especially nice when you bump into people you have met already heading up the east coast. Our next stop: Whitsundays boat trip!